When an elderly patient is hospitalised for a medical procedure or illness, their recovery can be lengthy and painful. If your elderly parent or loved one has recently received hospital treatment, Home Care Assistance offers Guelph Post-Hospital Care that promotes a faster recovery for seniors in the comfort of their home. After being discharged from the hospital, 35% of seniors are readmitted after only 90 days. For seniors, hospital readmission is usually a result of not following doctor’s recommendations, medication instructions or a poor recovery environment. Home Care Assistance in Guelph provides home care tailored to meet the needs of individual patients in post hospital recovery. Our Guelph Post-Hospital Care can be present before our clients are discharged from the hospital to help ensure a smooth transition. 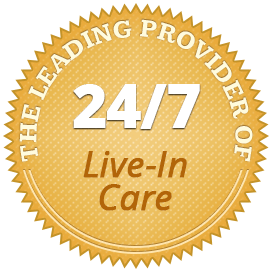 If your loved one is staying in an assisted living facility or a nursing home, our caregivers can provide 24 hours assistance with personal care. 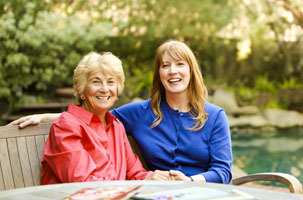 Because our clients need us on their terms, our caregivers are available anytime or anywhere. Contact a Care Manager at (519) 954-2111 to discuss a “Hospital to Home” transition plan that will allow for a quicker and more relaxing recovery.